Cat’s Pride Club Members to the Rescue! The Litter for Good program continues to grow, and thanks to help from Cat’s Pride Club members, it’s become the most successful donation initiative in Cat’s Pride history. This year, more than 1,500 shelters have been nominated to receive donated litter, and we’re on pace to donate 5 million pounds of litter by year-end. 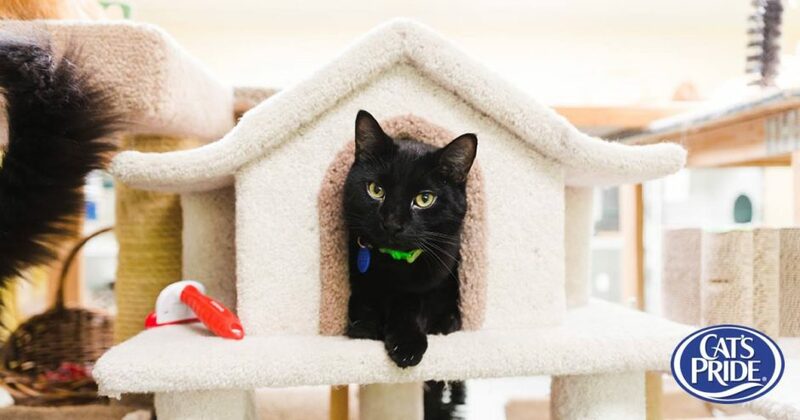 Donated litter helps shelters thrive in multiple ways: easing the burden of acquiring litter and freeing up resources for additional cat food, medicine, and veterinary services such as spay and neuter programs. Any Cat’s Pride Club member can nominate a shelter, and the more nominations a shelter obtains, the more litter it is eligible to receive. Grab your mouse, and lend a hand. As a member you can nominate your local shelter to receive donated litter, and help us reach our ultimate goal of donating 20 million pounds through 2020. 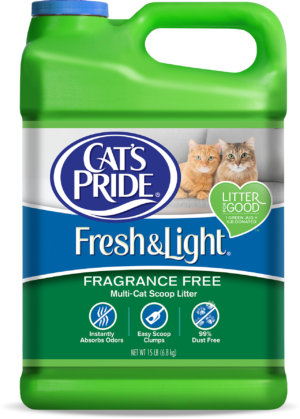 Every time you buy a green jug of Cat’s Pride Fresh & Light, another pound of litter is added to the total amount donated. Find a store. Check out this video of our President and CEO, Dan Jaffee, showing how the Litter for Good program works and why it’s so important for shelters! The more we can get out the word, the more chances we have to help save more cats.